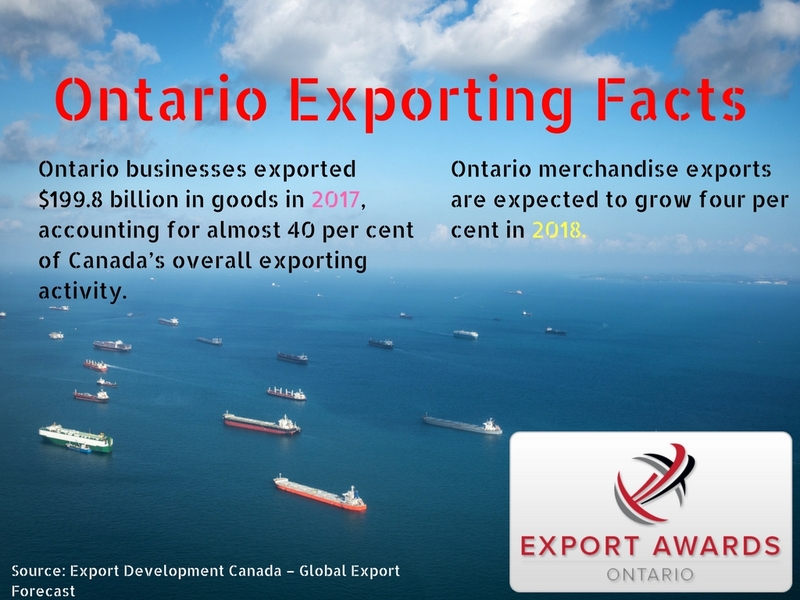 Every year, the Ontario Export Awards bring together hundreds of senior executives from Ontario’s most innovative and experienced exporting businesses, along with representatives from financial institutions, government bodies and trade organizations. Hosted by CanadianManufacturing.com, PLANT and Annex Business Media, this isn’t just a chance to celebrate your firm’s accomplishments, it is a premier marketing event. Whether as a participant, a sponsor or a spectator, the Ontario Export Awards are your ticket to a world of business opportunities. If your firm is growth oriented, and the time has come to make your exporting ambitions a reality, or to take those ambitions to the next level, this event can introduce you to the people that can help make that happen. Applying for an award or nominating another company. Planning to attend the Gala Awards on November 20, 2018. Check out the latest media coverage here.